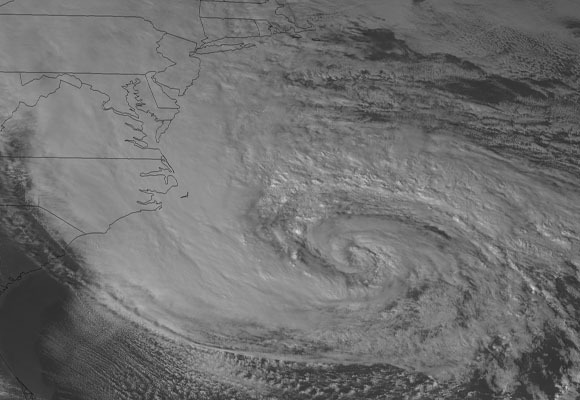 Meteorologists are warning that Hurricane Sandy could potentially be the worst storm to hit the east coast of the United States in 100 years. Do you remember “the perfect storm” back in 1991? That storm was so bad that Hollywood made a blockbuster movie starring George Clooney about it. Well, this storm is going to be much worse. When I first heard about Hurricane Sandy, I didn’t make that much of it. I figured that the east coast would get some wind and some rain and that they would whine about it a bit but that everything would be just fine. But then I started looking into this storm a bit more. It turns out that this storm is even larger than Hurricane Katrina was. The National Oceanic and Atmospheric Administration has categorized the destructive potential of this storm to be 5.8 on a scale that goes from 0 to 6. So don’t be fooled when you hear that this is only a “category 1 storm” or that the maximum winds will only be around 80 MPH. It is the unprecedented size of this storm and the mind boggling storm surges that it is producing that truly make it dangerous. It is being reported that Hurricane Sandy is more than 1,000 miles acrossfrom one end to the other. Meteorologists have never seen anything quite like this before, and we are most definitely in unprecedented territory. One meteorologist is already projecting that this megastorm could cause 100 billion dollars in damage, but the true amount of devastation will likely not be fully known for weeks. If you live in the northeast part of the United States, you definitely want to buckle up because you are about to get absolutely hammered. This is sooo exciting. I wish my girlfriend & I were in one of the high rise buildings watching it come in. WOW. Whast a blast that would be.